Wallpaper Cover-Up is an all-in-one primer, sealer and stain blocker. A high hiding primer that obli..MOREterates wallpaper print with a smooth matt off-white finish. Can be used under any coloured emulsion. Zinsser’s Wallpaper Cover Up can be applied by either brush or roller (for best results use a short pile mohair or microfibre roller). 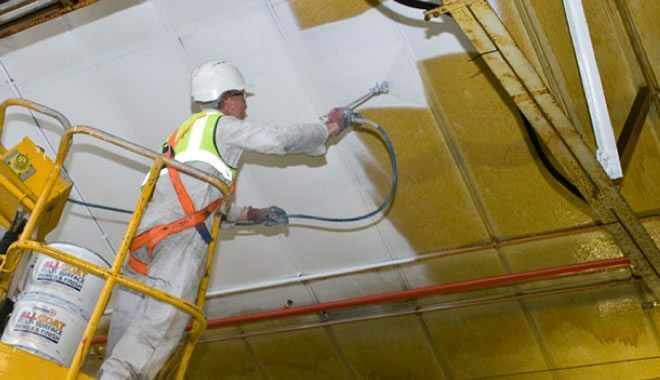 Unlike a regular emulsion which can cause wallpaper to bubble and blister, Zinsser’s Wallpaper Cover Up seals the wallpaper protecting it from the moisture in the paint and once dry, this one-coat system creates a new surface that’s easy to paint. Zinsser’s Wallpaper Cover Up also includes a stain blocker, seeping stains from smoke and damp residue are easily covered with no fear of re-emergence. Painting over old wallpaper can be both time saving and cost effective. 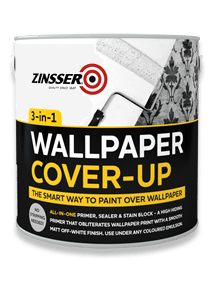 Zinsser’s Wallpaper-Cover Up provides the smart way to paint over wallpaper. To find out how easy it can be watch our video below our follow these step by step instructions!